Personalised and custom orders placed from today 13th December 2017 will not be processed until 5th January 2018. Thank you all for your kind support and I wish you all a Joyful and Blessed Christmas.Reclaimed, revamped and recycled gifts made in my *Woody Woman's World*. 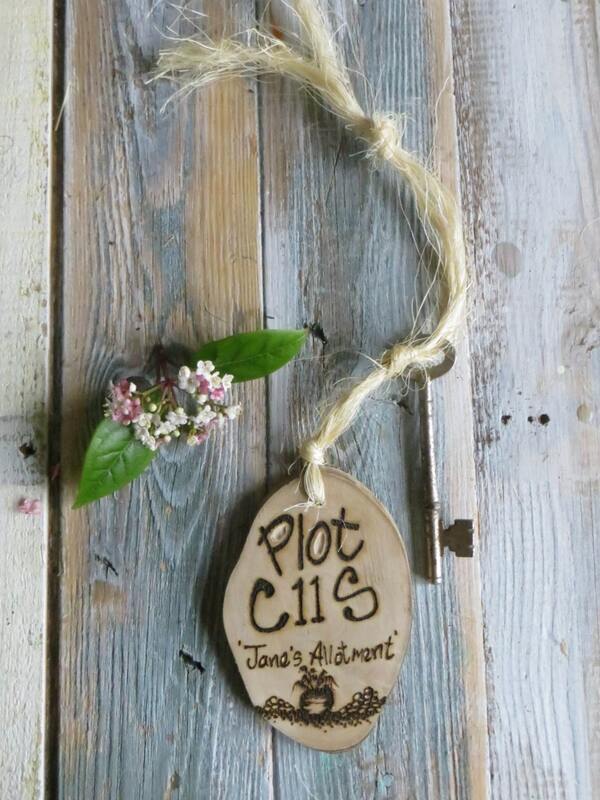 A handmade and personalised Allotment Plot key ring/mini sign. Made entirely by hand from and personalised with a hot wire pyrography pen with touches of carved areas. No complex tools just a good eye, lots of love, heaps of passion giving you your perfect gift. An unique gift for those in search of the unusual. 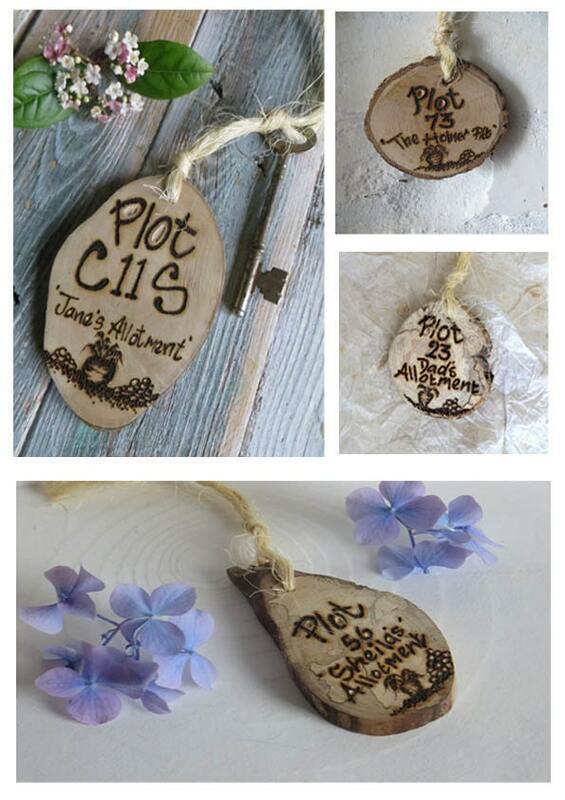 Personalise as you wish by sending me your Allotment Plot number and the name of the person or family, for example .....Plot number 32 "The Archers Allotment or Jane's Allotment. Your gift could be for dad, granddad etc please feel free to message me with your wishes. Kindly select from the options menu who you wish to personalise your sign for and then message me the name. Size is approximate and the wood will vary according to what is available and will be sent beautifully wrapped for its journey. 2-3ins / 5.8 -7.62cm in any direction of the wood. Each piece has a very different shape so the size is a guideline.